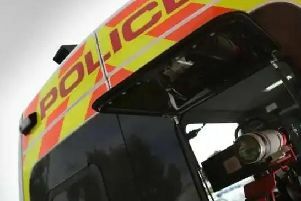 Drivers across Mansfield have been warned to avoid Debdale Lane in Mansfield Woodhouse after a tree collapsed on the road. Overnight windy conditions caused the tree to fall on the road near the Debdale Lane Sports Complex, causing delays to traffic while the incident is dealt with. Resident Jo Russell posted a picture of the tree on social media, suggesting that the tree had blocked traffic “in both directions”. She added: “I came across the blocked road at 5.45am this morning on my way to work at the Chesterfield Royal. Via East Midlands, which oversees roads across Nottinghamshire, has been contacted for an update. A spokesperson for Nottinghamshire Police confirmed that the incident is being dealt with, and that it has been passed through to the council.